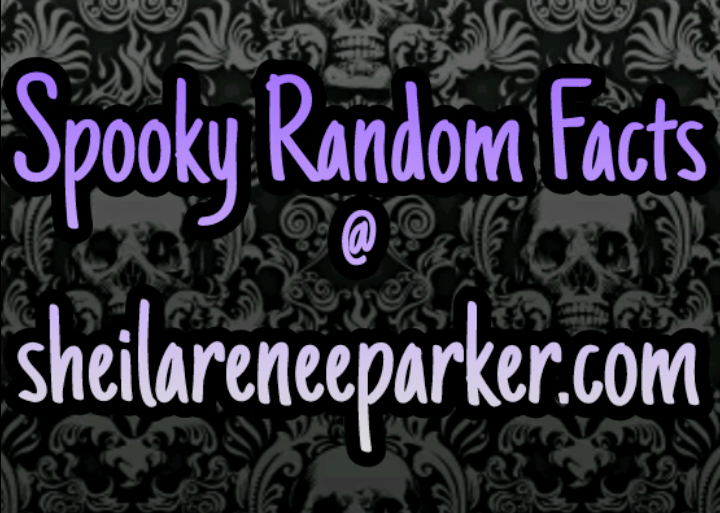 Here (as previously promised) is the first installment of many to come: “Spooky Random Facts here @ sheilareneeparker.com”. Doppelganger: German for “Ghostly Double” or “Double Walker”. Did you know that Abraham Lincoln, the 16th President of the United States, reported seeing his very own doppelganger in a dream just days prior to his assassination in April,1865?! Catherine II, popularly known as “Catherine the Great”, and even the “Heart of Hearts” poet, Percy Bysshe Shelley also reported seeing their doppelgangers prior to their deaths. Hey all you ghosts and ghouls, beautiful people, lightworkers and such! Wow, that was quite the diverse greeting, wasn’t it?! It has been nearly four fantabulous years (June to be a tad more precise 😉 ) since the creation of my site and I thought it was time for a change, one that’s been way overdue. As you can see, there’s a kickass new header image (designed by a very dear friend), shadowed by an adorable black, Gothic background adorned with skulls. And I’ve added a few more pages that were once written articles by me. I decided to upgrade the articles to having their own pages to help encourage people to openly discuss their very own personal paranormal experiences and more. So, I gladly welcome everyone’e interactions with an open mind and open arms. My site here, sheilareneeparker.com, is non-judgemental and is free of all negativity. As I always say, “Positive Vibes Only”, baby! Doppelgangers and Black Eyed Kids. Are they real? What do you believe? Doppelgangers (German for “Ghostly Double” or “Double Walker”) simply refers to a double of a living person. According to legend, these otherworldly creatures harness the ability to mirror the appearance of those they encounter. Many believe that doppelgangers are harbingers of doom. For instance, if a doppelganger was seen by a person’s loved one, then the doppelganger may be a messenger of danger or ill health. However, if one sees his or her own doppelganger, it’s said to be an omen of death. A doppelganger is often considered to be a shadow self that is thought to follow every living person. In instances of bilocation, a person can either spontaneously or willingly project his or her double known as a “wraith” to a remote location. This double is identical to the real person and can interact with others just as the real person would. Several well-known people in history reported seeing their doppelgangers prior to their deaths. Some of these historic figures include Abraham Lincoln, Percy Bysshe Shelley, Catherine The Great, Queen Elizabeth 1 and Maria de Jesus de Agreda just to name a few. Even Vice-Admiral, Sir George Tyron had reportedly been seen walking through the drawing room of his Eaton Square home in London at the exact time he had gone down with his ship, HMS Victoria after colliding with HMS Camperdown. Another harbinger of doom is known as the Black Eyed Kid (also known as BEKs.) Their origin isn’t clear, but many believe that these young ones are the spirits of lost or murdered children. 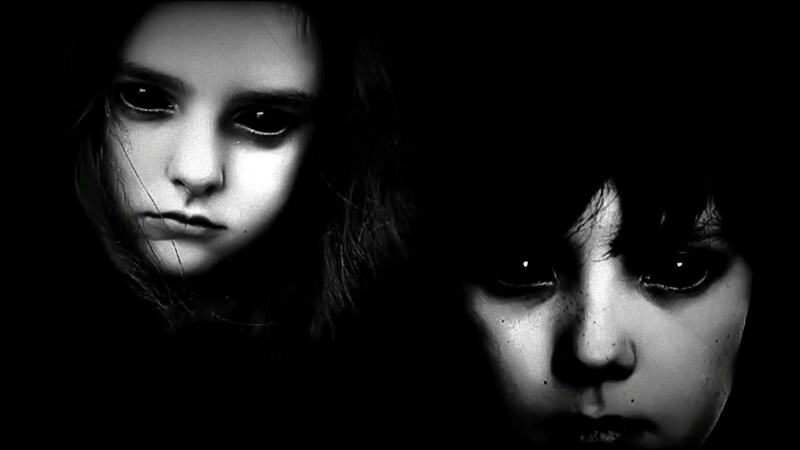 Black Eyed Kids are typically known to travel in pairs. Their ages range from eight years to eighteen years old. They have very pale skin and black eyes, showing no pupil or iris. When these children make their approach, they usually ask to be invited in one’s car or home. Almost anyone who’s had an encounter with the BEKs become overwhelmed with a sudden feeling of fear or dread. When turning these kids away, the children show aggression with the intense need to be allowed inside. Those who claim to have encounters with the Black Eyed Kids report that the children refuse to go away until the said person either leaves the scene or closes the door on them. However, there are many reports of these encounters, there aren’t any confirmations of what could happen if someone actually complied with the demands of the Black Eyed Kids. Year 2 and it’s ALL about YOU! Wow, can you believe it?! 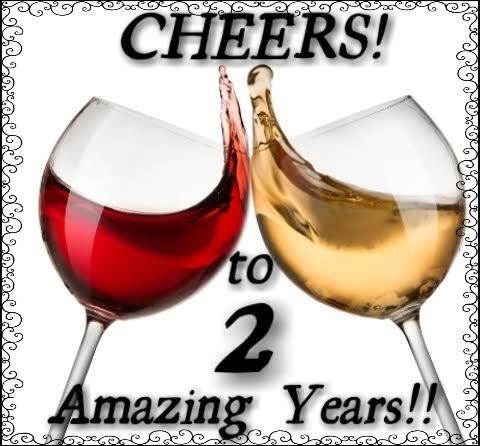 It’s been 2 amazing years since I created this blog and I owe it all to each and every single one of you! The topics discussed here are always open for your interactions. Many of you have shared so much and I, along with everyone else, have truly enjoyed every moment! If I could hug each of you, I honestly would because you mean that much to me! So…. A BIG INTERNET AIR HUG to you ALL!!! Today I’m welcoming Blaine Duncan, director of the upcoming film, The Paranormal Diaries: A Documentary Film. Thank you, Blaine for stopping by! I grew up in a very small, rural community about 45 minutes west of Minneapolis, Minnesota where I lived with my family. This is a small town that’s filled with a few farms, a bar, a church, a small Catholic school and not much more. It’s very much your typical small, Midwest community that you see in the movies and on TV. The house I grew up in always had some strange things going on inside of it. Things would disappear. Lights would turn on and off by themselves. There would even appear this strange smell of cigarette smoke that would fill the air out of nowhere. And this wasn’t like a cigarette that you would smell out at the bar on a Saturday night, this was the smell of distinct, old tobacco. My brother Austin, who is actually out filming with me this summer, had an incredibly scary experience when he was only four or five years old that involved a door slamming shut and a disembodied voice telling him to “be quiet”. So there were some really scary things that were happening all around me and to family living there. As a kid, even from a small age, I was very interested in the paranormal. So interested in fact that the only paranormal book that was in my school’s library was removed from school because some of the nuns felt that I was reading it too much. Pretty funny stuff. But as the only person in my family at the time who was into the paranormal, and even the only one who believed in the paranormal to a degree, nothing ever happened to me outside of smelling the old cigarette smoke. I wanted to interact with whatever was there so bad that I went as far as playing with the ouija board by myself, but again, nothing ever came of it. It was like whatever was there knew I was onto it and it wanted to stay clear of me. So then fast forward 20 or so years and here I am now, still interested in the paranormal. I’ve since then had several paranormal experiences myself at other locations and finally had that moment where I could no longer question whether or not the paranormal was real. I became very interested in filmmaking growing up which has led me to the point I’m at now shooting my own film documenting the paranormal. In a way I kind of feel like whatever it was that avoided me as a kid in my own home has driven me to want to discover the paranormal in every corner of the world. 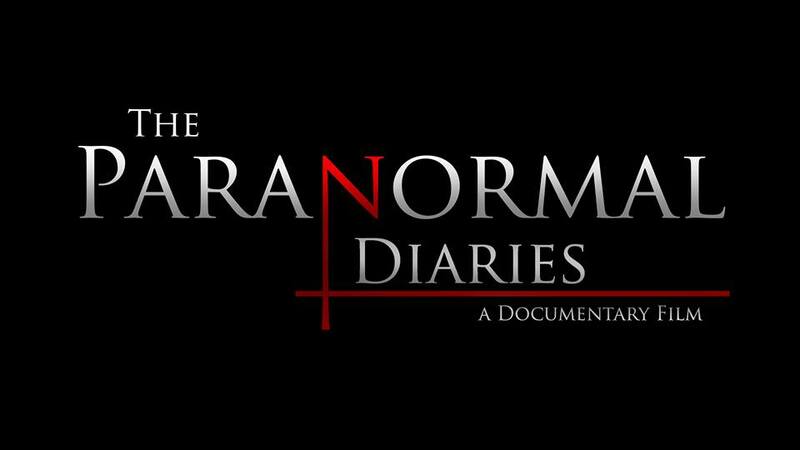 You’re currently working on the film titled, The Paranormal Diaries: A Documentary Film. What is your film about? The Paranormal Diaries: A Documentary Film is exactly what the title describes it as, and that’s a video diary about my road trip across America in search of some of the most haunted locations I can find. The idea for the film started back in 2009 or 2010 when I decided I wanted to create my own film on the subject. I’d always been into the paranormal and I really began to develop a love for independent filmmaking. So it took me from 2009 up until this point to really play around with the idea and get everything in line exactly the way I wanted, and I’m finally at the point now where I’ve gathered my equipment and have taken the steps needed to turn this idea into reality. We’re really hitting the back roads of America and finding these unknown locations that most people have never heard of when it comes to paranormal investigating. When we think about the paranormal we automatically think about places like Amityville and The Stanley Hotel, but what people have to realize is that there are just as active of locations as Amityville and the Stanley out there, they’re just completely undiscovered yet. 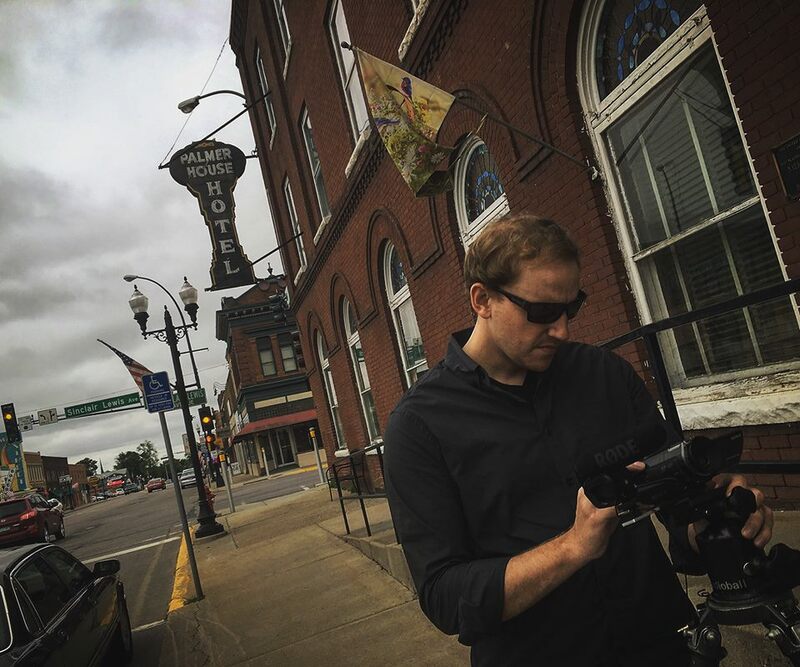 So by us grabbing our film equipment and hitting the road, we’re stopping at any location we can come across, sometimes in these small, rural towns that are barely a blip on the radar. You’d be really surprised at the amount of places that we have stopped at where people will gladly point to a creepy house on the corner in town and say, “go talk to them about their house”. And then we do and find all kinds of crazy things are going on there, but it’s been so hush-hush in the community that no one has ever investigated it. So we’re really excited to have the opportunity to be the first ones into a lot of these places. We’ve had some really positive experiences so far and we’ve also collected some really great evidence along the way. What has been the driving force behind creating such a production? 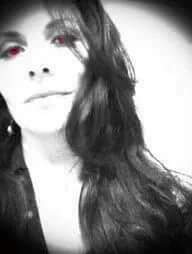 My driving force is, and always will be, my passion for the subject of the paranormal and filmmaking. In my opinion when a spirit gives me a really great EVP or a really great visual piece of evidence, the best thing I can do is to present that to the world. I mean when you sit back and think about it, how cool is it that we are actually communicating with people that are no longer living? It’s sad that they’re no longer living, sure, but that is just the unfortunate truth about life. But if I’m given undeniable proof of the existence of the paranormal, I believe it’s my job to pass that along and show that to the world. So my driving force will always be my love for this subject, my passion for filmmaking and of course my desire to present the best possible evidence to the world. What are your views regarding the ghostly realm? That’s a really great question and I think it’s such a deep and intense question that I don’t know that I can truly answer it entirely for you. There’s no doubt in my mind life after death. We all know that we’re made up of energy. It’s a scientific fact. And it’s also a scientific fact that you can’t destroy energy. So where does that energy go once we die? That’s what I’m trying to figure out. 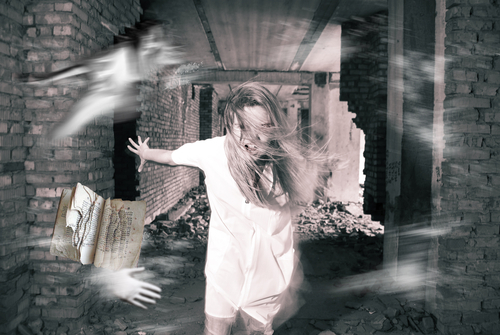 I believe there are probably spirits around us in many places throughout our lives, but we just don’t have the ability to interact with them. I believe there is such a thing as residual ghost activity and that some of the spirits that still walk this planet may not realize that they’re even dead. This could be in many cases those spirits who lost their life suddenly like in a car accident or a murder, something along those lines. But then I think there are other times when spirits are fully well aware that they are no longer alive and they are here for one reason or another. Maybe unfinished business, who knows? Maybe they feel such a strong desire to watch over their loved ones that they can’t pass over. 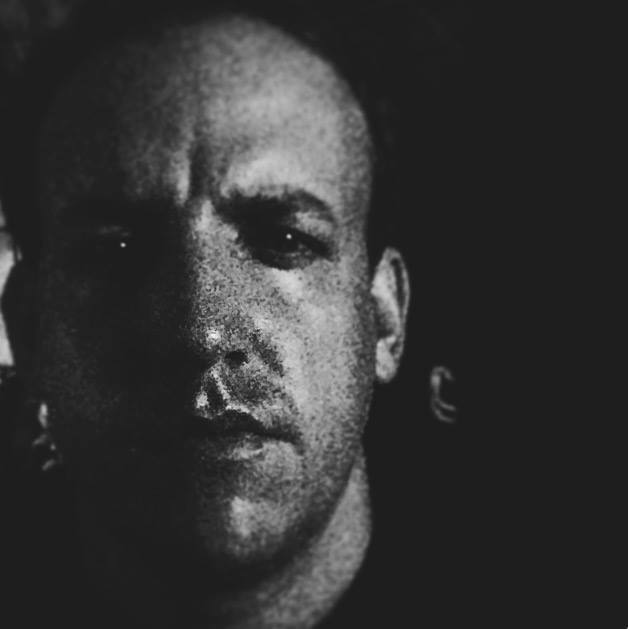 I look at the steps that have been taken scientifically over the last two decades in regards to documenting paranormal activity, and the leaps and bounds we’ve taken to document proof of the afterlife. I truly believe we are on the cusp of revealing to world the most scientific research that proves ghosts are real. And I also believe my film will support that. When will The Paranormal Diaries: A Documentary Film be released for all to see? We are out filming right now, this summer, across the country. We should wrap up filming in late August and will take the fall and winter to edit and focus on marketing. Hopefully by early spring we can start a few screenings and feel out how receptive people are to it, make any changes that are needed and then have the official release date be sometime next summer. I’ve been telling people August of 2017 is what we’re aiming for, but that also gives us a little wiggle room in there for any unpredicted roadblocks. But I wouldn’t be surprised if you see it before then. You’ve recently launched an Indiegogo page. Share with us where people can find your Indiegogo page so they can help take your project to the next level. Yes! I launched an Indiegogo campaign a few weeks back to help support the film financially. For those who are not familiar with Indiegogo or crowdfunding in general, it’s really become the new way to get a lot of projects completed on the independent circuit. Initially when I first began filming, this was going to be 100% out of pocket and I didn’t want to rely on anyone else to fund the film. Well, a few weeks out on the road made me realize that in order to accomplish what I want to get done in a timely manner, there is really no way I can continue at my current pace to support the film entirely by myself. So I started my Indiegogo campaign and am trying to raise $15,000 for the film. This will cover travel expenses, filming costs, equipment costs, those kinds of things. For anyone who knows anything about independent filmmaking, $15,000 is really not a lot of money. In some locations we’re going to film at, they want over $1,000 just to film there. So any little money that people are willing to give would greatly be appreciated. If you go to http://www.indiegogo.com and type in The Paranormal Diaries, our page will pop up and you can read through it. And people should also know that with each donation you give you can get different perks ranging from a signed promotional card all the way up to credited as an associate producer in the film, which you’ll actually be allowed to partake in conversations down the road and make some production decisions with the rest of the team. I keep saying that this film is being done by paranormal enthusiasts, for paranormal enthusiasts, so for anyone who is interested in donating to the film, I promise you that you’ll get every dime of your money back with the finished product. Where can paranormal enthusiasts get updates about this exciting film? We’re currently working on launching a website for the film, but for the time being they can track me down on Facebook or do a search for The Paranormal Diaries film on Facebook. Feel free to send us any messages you have whether that be comments on the film or ideas for locations to investigate. We’re always open to suggestions and love being able to interact with people who are interested in the film. What’s next for Blaine Duncan? That’s a great question. This film will get finished by me one way or another. Sure, I’m hoping I can get some money to help financially support the film, but even if I can’t, I care so much about it and my passion for the paranormal that it’s going to be released one way or another. So hopefully next summer you see us release the film to the world and it can gain exposure through social media and we can travel around and show it off. This whole project has really been a dream come true for me and I hope I can keep it up for years to come. Who knows, maybe we’ll do another film and travel around Europe doing the same thing? I’m just happy to have the opportunity to expose my work to the world, and hopefully people will enjoy it and it will give them something to talk about. It seems the paranormal community in general has been at odds with each other, so maybe my film can be something that can bring everyone back together. Any positive words of advice? I would tell anyone out there who is reading this to stay focused on whatever your goals and dreams are. If you want to be a professional NFL quarterback, get out there and start throwing some footballs. If you want to be a rock star and make your own music, grab a guitar and start practicing. I wanted to make a paranormal documentary that would be different from anything that had ever been done before. It was my dream to do that and I’ve finally gotten the opportunity to take this head on. My passion and drive to see this thing come to fruition is beyond anything I’ve ever done before. The only person out there who can stop you is you, so don’t be your own worst enemy and make whatever goals you have happen.